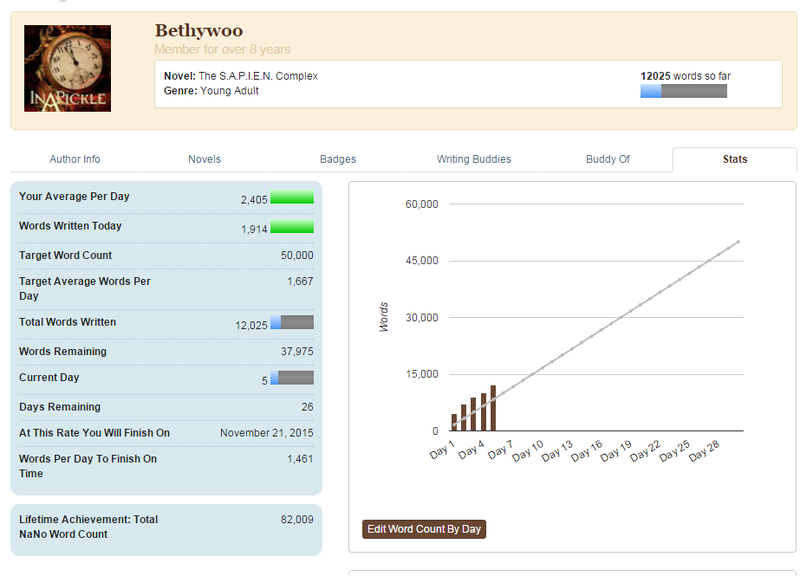 NaNoWriMo is going well. *rubs hands together and cackles* As you can see from the chart above, I am a little ahead of schedule…which is a very good thing, because of week two doldrums. It seems to happen every year: I get ahead, and then by day seven, the words just aren’t coming. I am not planning on letting that happen this year. I am going to try to keep at least one day ahead (preferably two) this week, and on Saturday, I plan to aim for 10,000 words. In other news: I have some publishing news to share soon! I’ve told my Facebook friends the gist of the news, but you won’t hear it until December-ish. Sorry!